A modern, dizzying, science fiction-like odyssey into the heart of Africa. 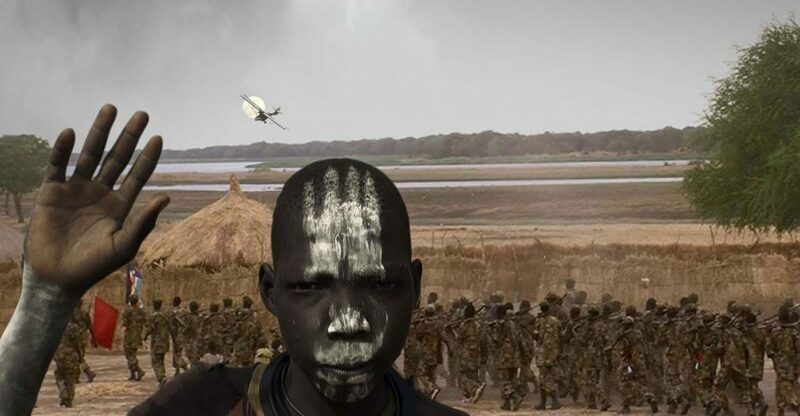 At the moment when the Sudan, the continent’s biggest country, is being divided into two nations, an old ‘civilizing’ pathology re-emerges – that of colonialism, clash of empires, and renewed episodes of bloody (and holy) wars over land and resources. The director of Darwin’s Nightmare (2004) takes us on this voyage in his tiny, self-made flying machine of tin and canvas, leading us into people’s thoughts and dreams, in both stunning and heartbreaking ways. Adopting a vérité style inflected with elements of surrealism, Sauper pieces together the strange relationships between Chinese oil workers, UN peacekeepers, Sudanese warlords, and American evangelists.